We very much like to talk to our customers and would welcome a phone call to open our dialogue and to ensure we understand your needs. We will visit your property and provide you with a free, no obligation quotation to undertake the works. We do not normally provide ‘on the spot’ quotes, we like to think further about your needs, so there will be no pressure selling of any kind during the survey, site visit or telephone conversations. During the site visit we will take a holistic view of your property, your energy requirements and your existing arrangements for the provision of hot water, space heating and electricity. 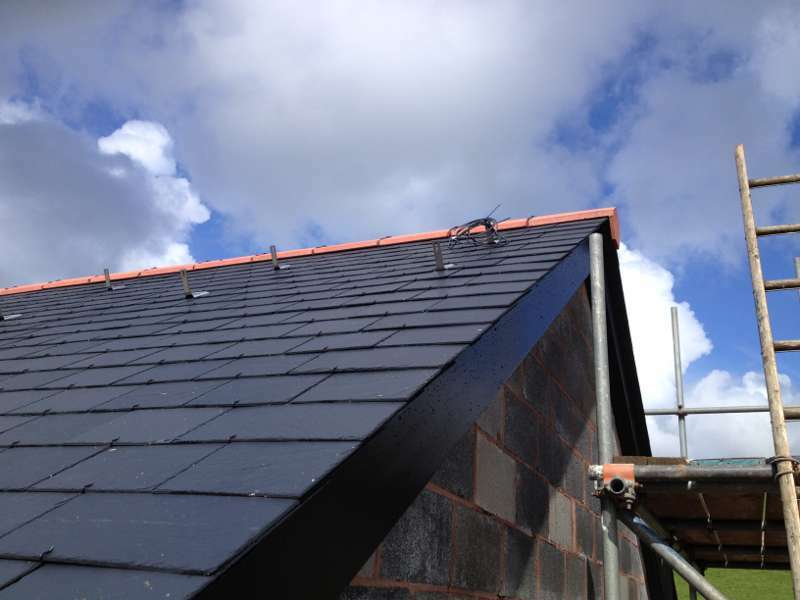 We can design, supply and install you with solar PV, a solar thermal system, or both, complete with any ancillary equipment for remote monitoring. We are registered installers of Immersun units or similar which can also be incorporated to maximise your energy generation usage, if your hot water system is suitable. We believe in providing the best service and the best quality of works we can achieve for our customers. To this end we are pleased to safeguard our customers in the knowledge that we are accredited under the Microgeneration Certification Scheme, for our technical expertise, and registered with the Renewable Energy Consumer Code, which lays down the business code of conduct with which we comply. The RECC code of conduct is approved by trading standards. A solar PV array or solar thermal system on your new-build will help to meet your requirements for carbon reduction and the Building Regulations compliance in relation to SAP calculations. 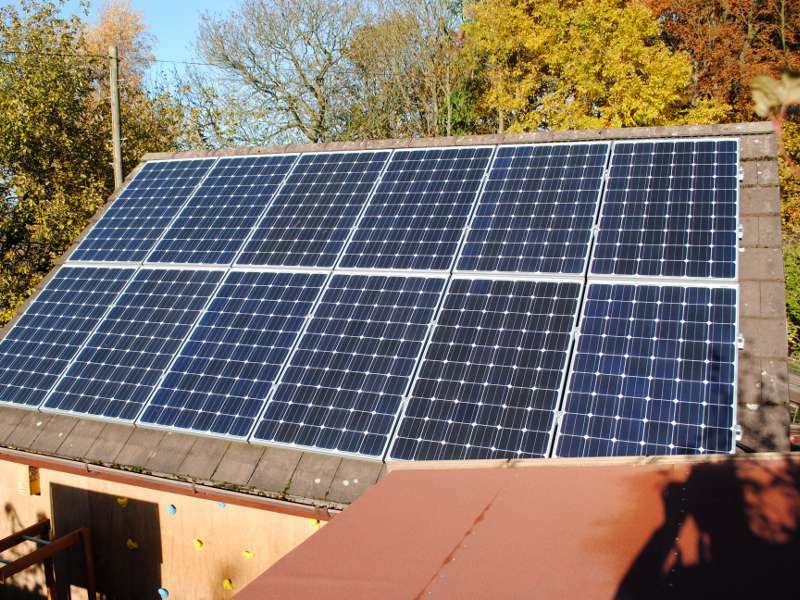 We can assist you or your specialist adviser to identify the size of the array to meet the requirements which could be as small as 1.5kW or up to 4kW for most domestic situations. We are passionate about saving energy and are enthusiastic about the merits of solar systems so we encourage our customers to have the largest array they can afford as it pays dividends plus worthy carbon reductions and energy saving potential in the longer term. 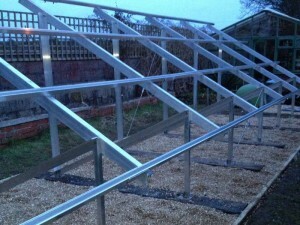 We will work with you during the build process to suit your needs and the progress of the works on site. 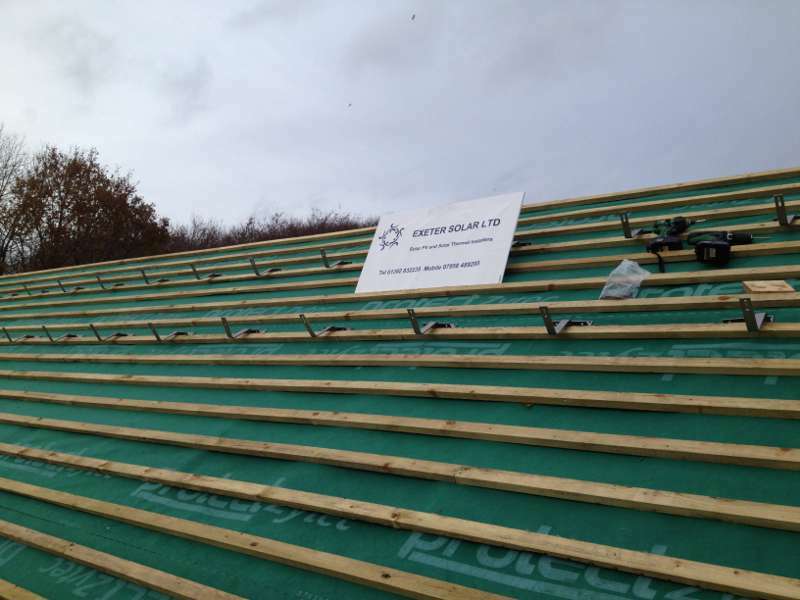 As soon as the roof is felt and battened we can start the installation to allow roof tiling or slating to progress with the roof anchors secured in position. 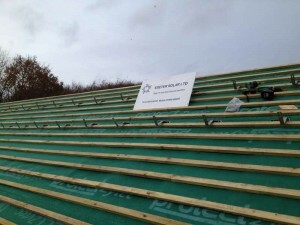 After tiling the remainder of the roof mounted array can be completed to co-ordinate with other activities. This way the scaffolding costs are shared between the activities and no duplication of these costs occurs. On the roof or elsewhere? Solar PV or solar thermal systems are usually best sited on a roof because they are out of the way and less prone to damage, theft or over-shading. However, they do not have to be on the main roof of your house if there are aesthetic or town planning difficulties, so it pays to have an open mind about the opportunities for locating a system. Furthermore access for future maintenance or alteration may be easier. 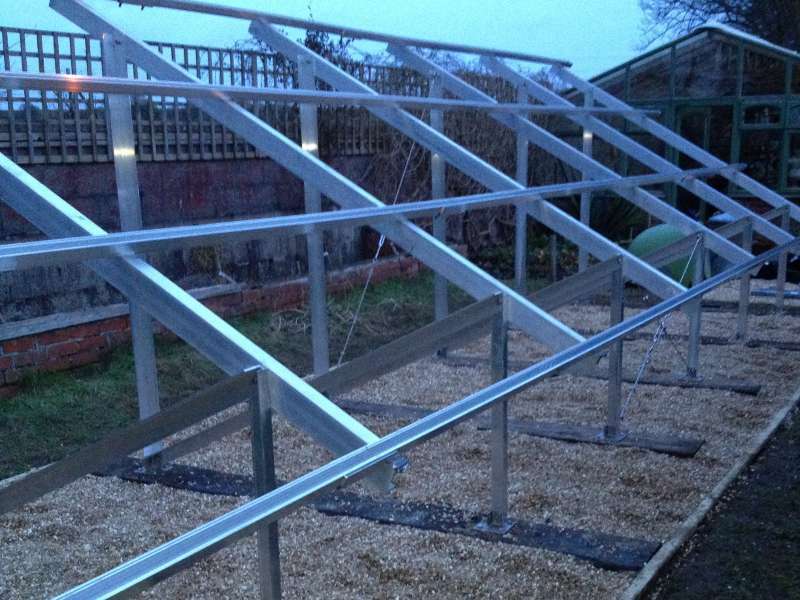 Positioning on a detached garage, an outbuilding or separate flat roof area might be the solution, or how about a ground-mount in the garden? We actively encourage all of our customers to visit the websites of various organisations to familiarise themselves with the independent bodies set up to help meet our obligations to reduce UK energy consumption and the impact on climate change. These various sites will provide you with independent advice, guidance and tips on what to look for whilst considering your renewable energy options and measures suitable for your needs. We suggest you visit the Energy Saving Trust that will take you through domestic energy consumption and conservation matters. They have information on renewable energy generation, insulation etc as well as interactive tools to help you measure and reduce your carbon footprint. For information on the Renewable Heat Incentive you will need to visit the Ofgem site, where you can find all the information and qualifications process and the documentation required to access these funds. 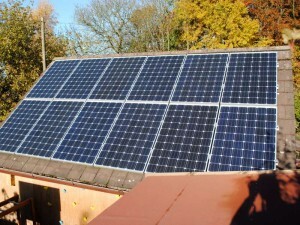 On the ofgem site also contains the latest Feed-in Tariff rates for solar PV installations. Visit also the Microgeneration Certification Scheme website where you will be able to look at the compliance requirements and check out our accreditations Our number is NAP17780, so take a look at this too! Whilst it is very early days for us in this area we are keen supporters of and wish to become more involved in community energy projects to benefit the local community and the broader environment. We had a minor involvement in the Exeter Community Energy project that is being developed and supported the big community energy weekend in Exeter and surrounding areas during May 2014.